A request for an administrative hearing to save your driver's license must be filed within 10 days of an arrest for DUI Defense. Our firm has a substantial record of success in helping clients obtain hardship licenses in order to travel to work or school. Without the help of an experienced driver's license defense lawyer, you may be left unable to do the everyday things necessary to take care of yourself and your family. 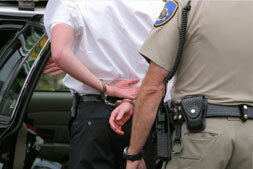 If you were arrested for drunk driving it is vitally important that you consult an attorney as soon as possible. Contact us today for the rapid legal action you need to save your driver's license. The administrative hearing is solely about your driver's license status. Your automatic license suspension will either be upheld or overturned, depending upon the circumstances and how effectively your attorney argues your case. Our understanding of the judges and courts in South Florida and throughout the state enables us to advocate strongly for your right to drive. Was there probable cause for your stop and arrest? Was the breath test or field sobriety test properly conducted? Does the arrest or jail intake video show that you were impaired? The answers to these questions may impact not only whether or not you retain your license but also the outcome of the criminal case. During the administrative license suspension hearing at the Division of Motor Vehicles (DMV), all testimony by law enforcement officers is taken under oath. This means that it will almost certainly be admissible at your trial. Driver's license defense lawyer Russell Bernstein has the experience and skill to challenge testimony and begin laying the groundwork for a reduction of charges, dismissal or acquittal. Call our offices in Coral Springs, Weston and North Miami toll free at 855-352-8425 immediately to speak with a Florida driver's license defense attorney who will fight for your right to drive.